Voted #1 Gym in Monmouth and Ocean Counties! Maybe you're unhappy with the number on the scale, or maybe you want to slim down for a special occasion. Maybe you've had a health scare and know you need to make a lifestyle change. 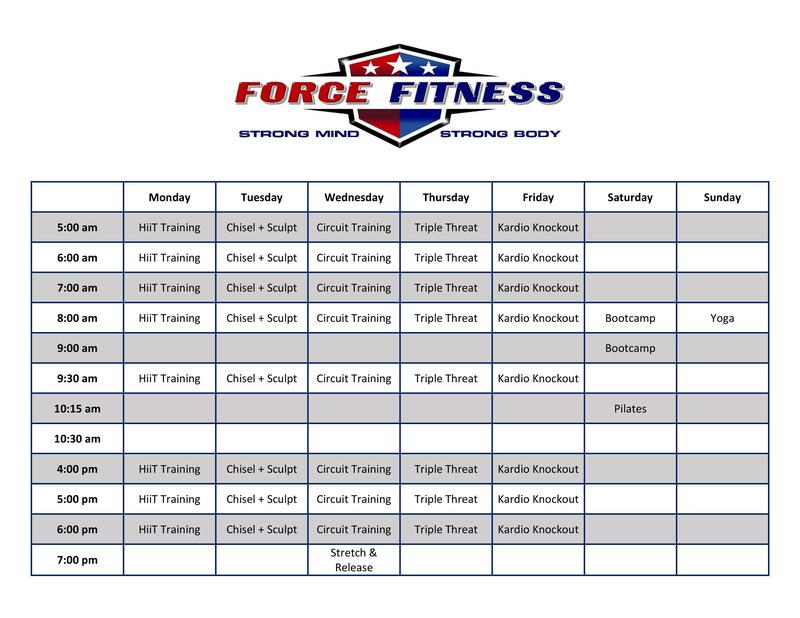 No matter what your fitness and wellness goals are, Force Fitness can help you reach them. We're a local fitness studio in the Toms River & Beachwood, NJ area that offers group fitness classes with a personal touch. Since opening our doors in April 2018, we've been helping people of all ages and abilities become the best versions of themselves. We're looking forward to helping you along your fitness and wellness journey. Click here to see our schedule. Ready to join the Force Fitness family? Call us today at 732-279-6684. Our certified fitness instructors will help you reach your goals. Choose from a variety of group fitness classes, including yoga and HIIT classes. We offer group fitness classes seven days a week. Stop by today! Learn how Toms River & Beachwood, NJ residents just like you were able to reach their fitness goals. Whether you want to lose weight or get in better shape, we're here to help you achieve your goals. We have custom fitness classes. Our fitness studio offers something different every day. We don't do annual contracts. Our group fitness classes are hard on your body and easy on your wallet. Contact us today for information about pricing. Copyright © 2019 Force Fitness, all rights reserved.